VHS storage. This is a perfect fit. I used the product to store my stuff animals in that my husband bought me over the years for valentines day. They are extremely special to me. Product was exactly as advertised,arrived in a timely manner,& is a great way to cheaply store & stack vhs tapes, i would recomend this product to any one on a budget and has limited room for storage. They worked well for the vhs in the boxes... 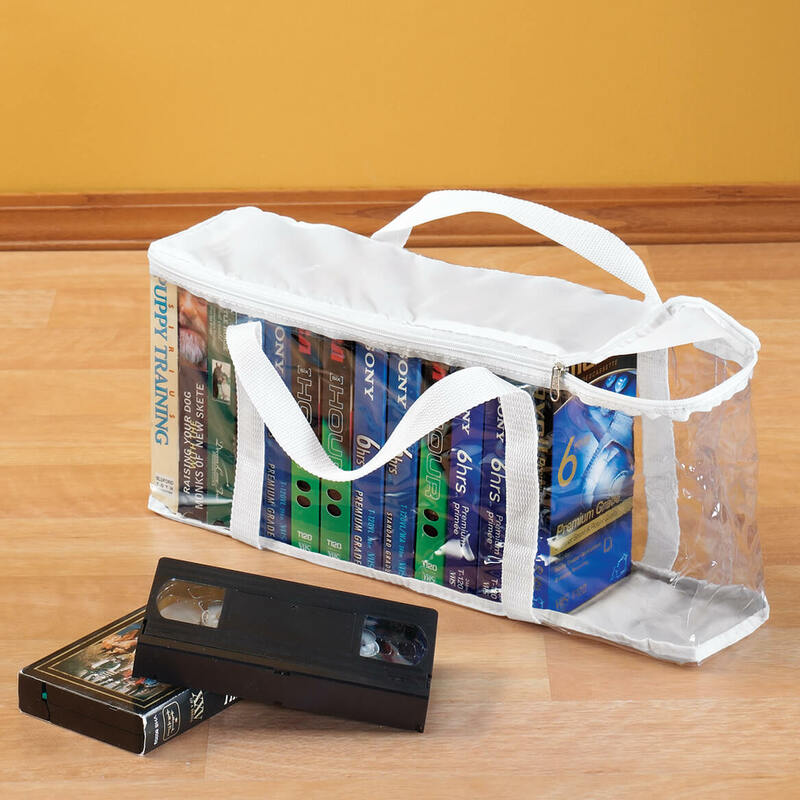 I had older disney vhs in larger plastic jackets and found that they were to big to stand but with a little effort if they were laid them down you could stack them on top of each other and it would be able to be zippered shut. The only problem was you could not fit as many vhs as when they were standing.. But they worked very well and recommend them to anyone looking to use them to store the vhs. I still have some VHS but they are in a box. Need a place to store them that will protect them. Have lots of grandkids VHS tapes and need a place for them to be viewed to pick out one to watch easiy. Trying to save some vhs tapes. I wanted something to store my VHS tapes in so they can be seen all at once. I needed a storage solution for many VHS tapes I want to keep. It looks like it would make it easier to find the one we want without so much work. I need more storage for my VHS tapes, and with this I can see what's inside. I need to store vhs tapes. Trying this out and hope it works for my loose old adult VHS movies. This helps me keep all the classic movies that I have in order and makes it easier for storage. Now I won't have any accidents on them falling everywhere. 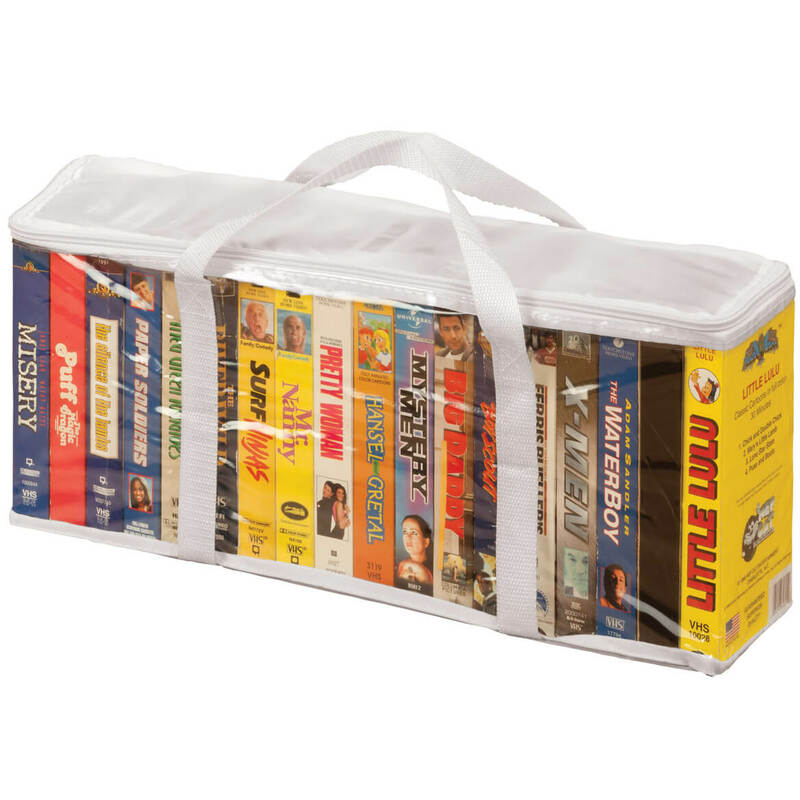 We have so many VHS movies this will be a great way to organize and store! 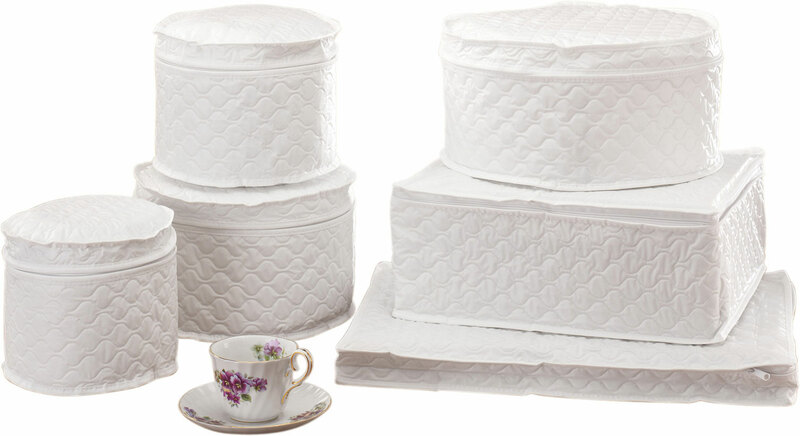 For compact storage due to downsizing. 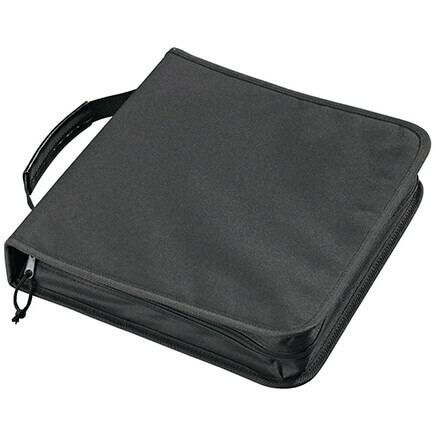 It is handy to keep them in one place and easy to move about if necessary. Dust seems to settle on these cardboard boxes on the shelf so I need to place them in something dust-free,,,besides the movies can be identified through the clear plastic and the handles make for easy moving about. 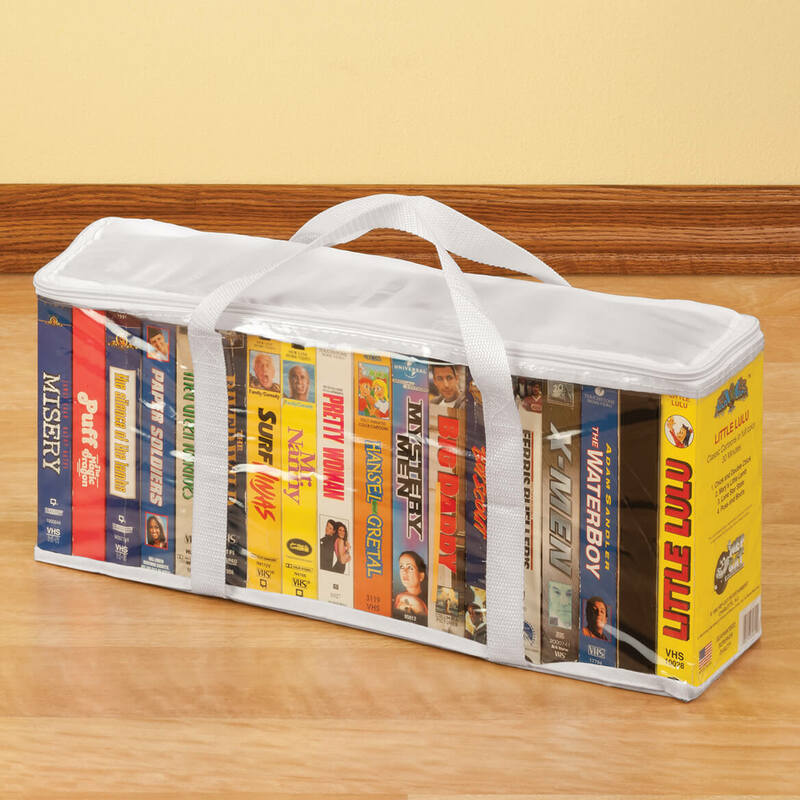 I have ordered these in the past and they are a good way to store my collection of movies. These are a good way to contain, store and keep the dust off. Not space and needs to put in some place. Read Reviews and decided with a little support board on the bottom these would allow me to organize ALL those precious Disney vhs tapes. I needed a small container to put my VHS tapes in so that I can arrange them. 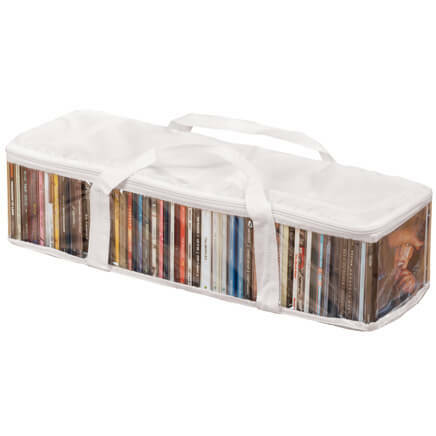 Takes up less space than those old-fashioned drawer storage cases for VHS tapes. And you can see through to find what you're looking for quicker. other people gave good review. 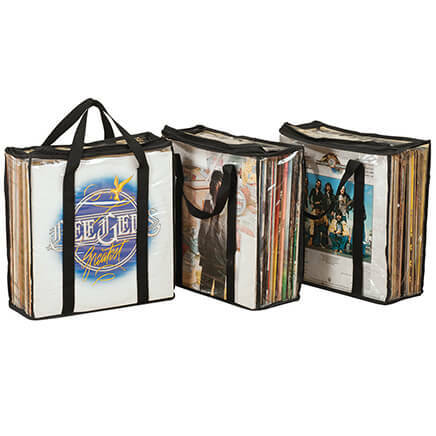 I had bought the magazine storage bags and love them. Much better than the cardboard which tear and fall apart if you pick them up often." How many VHS tapes does one container hold? BEST ANSWER: Thank you for your question. Stores and protects up to 18 VHS tapes We hope this information will be of help to you.